A beginners class that will boost your confidence in drawing and painting. Each week Rosie will take you through demonstrations and materials which you will record in a sketchbook. The exercises improve your hand-eye coordination and the ability to actually “see” and record accurately. To make good progress a commitment over the year will give you accurate drawing and painting skills from observation. 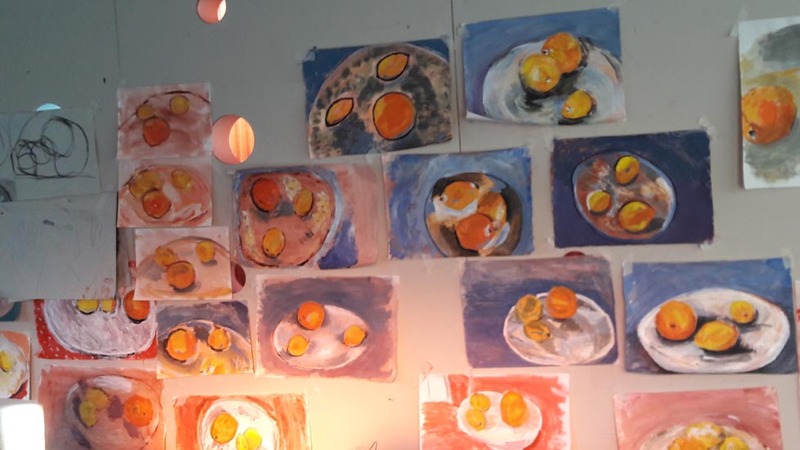 Some of the topics covered are drawing with perspective, building tone in a variety of materials, colour mixing and colour theory, mono-printing, portraiture and working from a still life. In the summer we work in the wonderful beach garden and visit local areas with our sketch books. All materials (not sketch books) are provided and hot refreshments. Email Rosie for more information and to make a booking. This course runs on a Thursday, 25th April – 6th June 2019 from 10am – 1pm.